CodeBeamer V4.1.1 uses a modified Version of JSPWiki. EmForge is using JspWiki Engine. Silverpeas is a Collaborative and Social Web Portal useful to build an Intranet and an Extranet. Silverpeas offers about 30 different applications permitting to the user to manage and to organize a large variety of contents. Amongst their applications, they used a JSPWiki-based wiki. 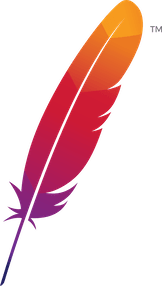 There is a JSPWiki Plugin for Apache Roller which allows you to use JSPWiki syntax in Roller blog entries. Apache Forrest features partial support for JSPWiki syntax through their JSPWiki plugin . Kaukolu is a semantic wiki research prototype based on ​JSPWiki and is used as a testbed for alternative approaches of mapping wiki contents to a knowledge base.